For instant privacy and better control of the natural light that fills your home, window blinds are a fine addition to any room of the house. The best news? Installation is easy—provided you start with the correct measurements. Read on to learn how to get the most accurate numbers. As challenging as it may have been to settle on blinds, not curtains, you’re not quite finished yet. On the contrary. Before you can buy or install new window treatments, you’ve first got to take some careful measurements. And in order to measure for blinds the right way, you must know whether you’re planning to mount the blinds inside or outside of the window molding. There are pros and cons to each style. On the one hand, inside-mounted blinds foster a clean, modern look that shows off the window trim. On the other hand, outside-mounted blinds conceal the window trim but do a better job of blocking light. There’s no right choice; it all depends on the room in question and your style preferences. It’s not a trivial decision, but don’t deliberate too long, because only once you’ve selected a style can you get down to the real business at hand—measuring! Read on to learn how to measure for blinds; the steps are slightly different, depending on your mounting choice. Begin by measuring the width—that is, the distance from one inside edge of the casing to the other. Do this in three places: the top, middle, and bottom. If you find that the measured widths are not uniform, keep the narrowest measurement to ensure that once installed, the blinds are able to operate freely, without obstruction. Next, measure the height of the window—that is, the distance from the sill to the bottom edge of the upper casing. This, too, should be done in three places. Except this time, be sure to record the longest of the three height measurements. While “too long” blinds are no problem, blinds that are too short admit unwanted light. Finally, measure the depth of the window. Here, focus your attention on the upper window casing. On its bottom side, you ought to see a flat surface whose face looks down on the sill. How deep is that flat surface? For inside-mounted blinds, that can be a critical measurement, as there are minimum depth requirements for many designs. 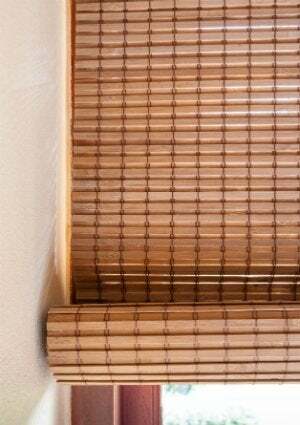 If there’s no flat surface onto which you can fasten the headrail for your blinds, that’s a reason to reconsider installing outside-mounted blinds. Assuming that you met no impediments along the way, you’ve now recorded the dimensions you’ll need to purchase inside-mounted blinds for the window. Now repeat the process for the remaining windows. One reason to choose outside-mounted blinds is that, unlike the other style, these can be installed no matter what idiosyncrasies exist within the window opening. Just as they conceal the window trim, outside-mounted blinds can also usually cover the cranks and handles used to operate some windows. Another benefit: There’s a more forgiving margin for error when you measure for blinds of this type. 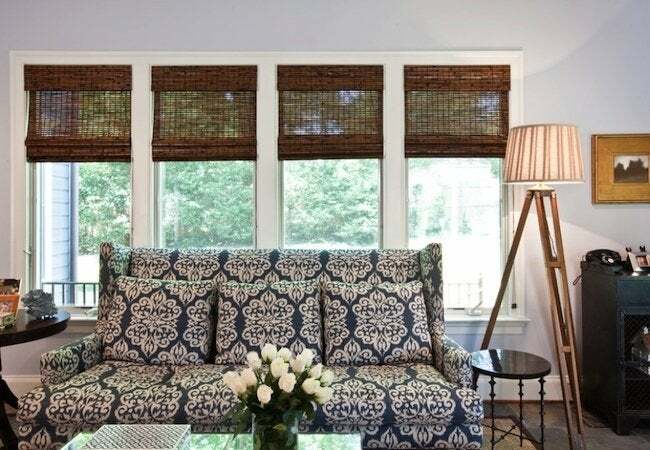 Start by measuring the width, not of the window itself necessarily, but of the left-to-right space you would like the window treatment to cover. If you wish to maximize privacy and light control, plan the set of blinds to extend as much as three inches beyond both sides of the window. (If there’s another window nearby, however, that may not be possible.) Before moving on, record the ideal width you’ve determined. To measure the length, you must first determine where you’d like to position the headrail (the housing for the mechanical parts that control the up-and-down motion of the blinds). Assume the headrail is going to be at least a few inches tall. From there, measure to the bottom of the windowsill. And if you’re going to want the blinds to hang down below the sill, add to the length measurement accordingly. When in doubt, err on the side of a more generous length measurement, as blinds that are too long can always be adjusted. Unlike with inside-mounted blinds, you don’t need to take a depth measurement for the outside-mounted variety. That means, once you’ve got the width and length for each of the windows you plan to cover, you’re ready to go select your favorite blinds, whether you’re shopping online or at your local home center.